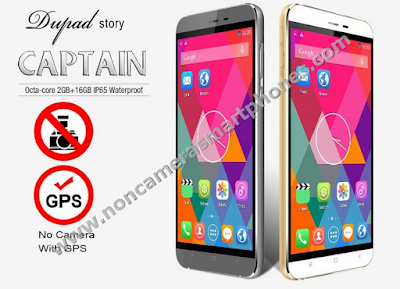 Buy Dupad Story Captain Android Non Camera Smartphone Review Price. ~ All 4G Non Camera Smartphone Mobile Phones Without Camera Phone. 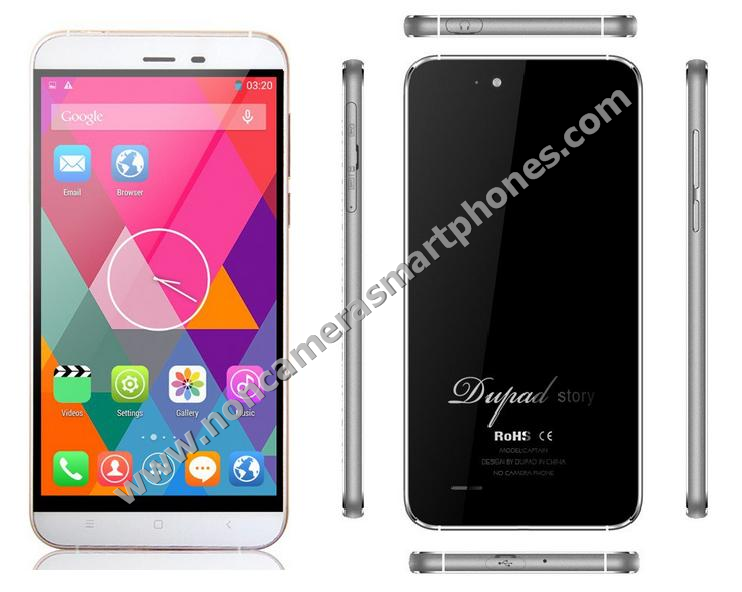 Explore Dupad Story Captain Dual Sim 3G Android Non Camera Phablet Smartphone Latest Features, Model Specifications, Preview, Images, Photos, Comments, Details, Review and Price in India. The company doesn’t supply USB charger with the phone and that has to be purchased separately. 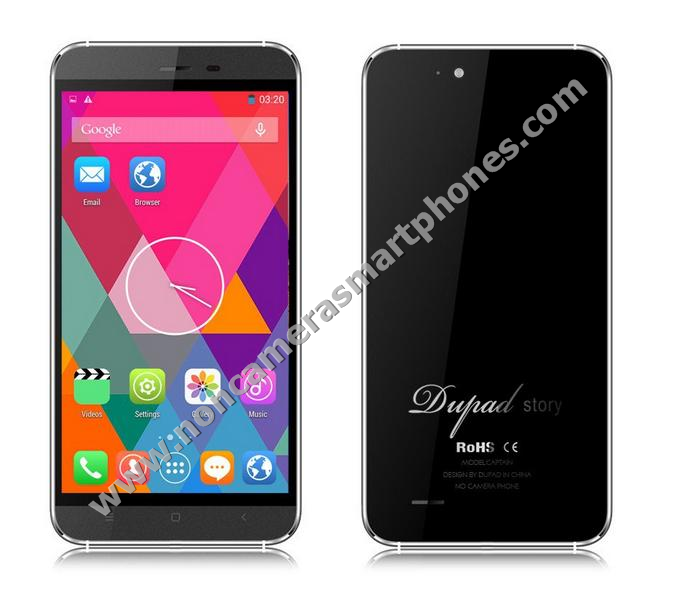 The Dupad Story Captain is a quad-core 5.5 inch No Camera Android v4.4 Kitkat smartphone for business users in highly-security work environment where camera phones are prohibited. Also check Dupad Story P6 - E1 Non Camera Android 3G Smartphone Features, Specifications, Images, Photos, Comments, Details, Review and Price in India. Other features supported are 3G, WIFI, FM, Bluetooth, Ebook, Email, Messaging, wallpapers, calendar, calculator and clock. The phone comes with default 1 year warranty from manufacturer. The Phone runs on Android OS v4.4 with MTK6592M chipset and 1.4 GHz CPU processor. The file formats supported by phone are AVI, MP4, 3GP, MOV, MKV, FLV, FLAC, APE, MP3, OGG, AMR, AAC, JPG, PNG, BMP, GIF. The no camera phone uses Li-Ion 2200 mAh battery for better standby time of 2 to 3 days and battery talk time. The Android 4.4 Kitkat system ensures it's smooth running and better compatibility. 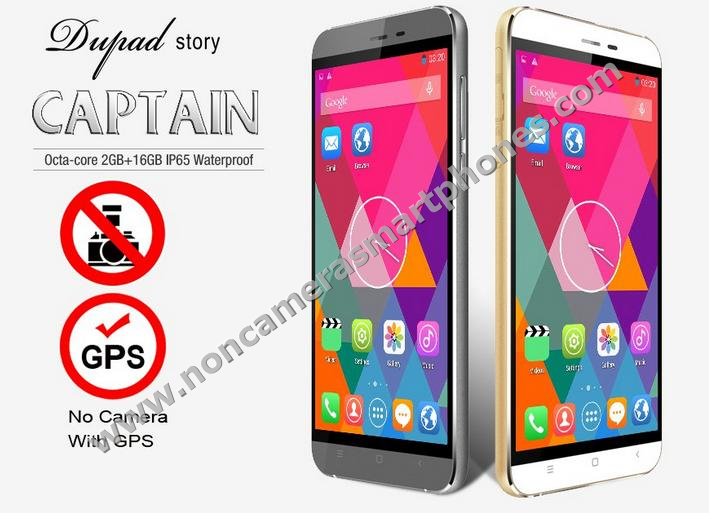 Features and Specifications of Dupad Story Captain Non Camera Phone. 7.3 mm x 76.8 mm x 154.1 mm. Dual Sim Supported, Dual Standby. 1280 x 720 pixels resolution. Wlan Wi-Fi 802.11 a,b,g,n,ac supported. AVI, MP4, 3GP, MOV, MKV, FLV, FLAC, APE, MP3, OGG, AMR, AAC, JPG, PNG, BMP, GIF. Phone, Headset, Battery, USB cable, User Manual. The Price of Dupad Story Captain Android 3G Octa Core Non Camera Smartphone is around USD $229.